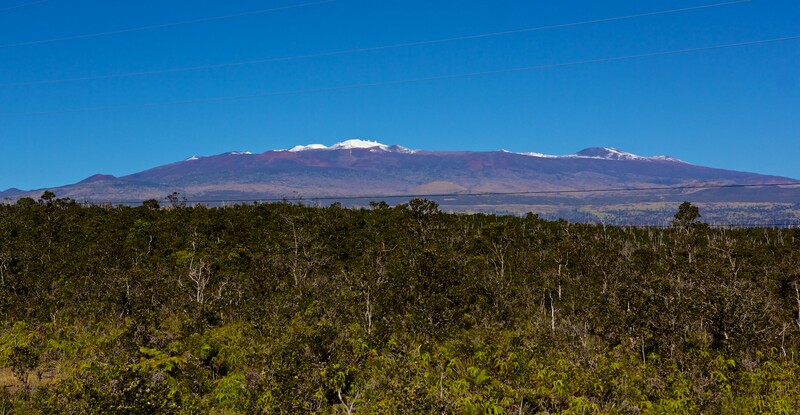 The Ohia forest next to the Daniel K. Inouye Highway (aka Saddle Road) with the snow-capped Mauna Kea in the background on Sunday, January 4, 2015. This blog started out as a Picture A Day blog and so far I’ve been 4/4 posting this year. I’ll see if I can keep it going. Looks like The Huffington Post decided to publish my snow in Hawaii video. Florida is the only state that doesn’t have snow on the ground today, though they did a few days back I guess. So 49 states with snow.